Halloween is a fun occasion to celebrate with your students in the classroom, and here are some creative ways to add a Halloween spin to your speech therapy curriculum. 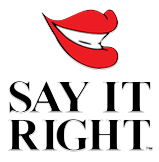 Read all about Halloween in Say It Right’s Celebrations and Seasons Workbook. Ask students why questions afterward (who, what , where, when, why, how). Using the Seasons and Celebrations Workbook, ask your students to listen for Halloween words and then write them down in alphabetical order. Name the attributes of Halloween words (describing color, shape, size, components or parts, category). For example, spider is black, center of spider is circular, it has 8 legs, and is an insect. Point out the Halloween section of the Holiday wheel which contains the-month, picture of Halloween and the season which is Fall. This is a great visual of learning about seasons and holidays. 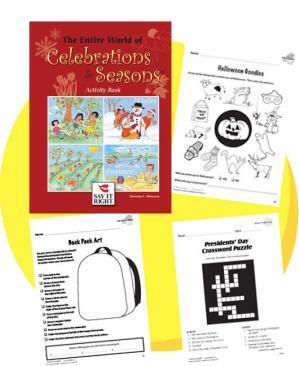 using Season and Celebrations Wheel Sequence 3 picture cards with Say It Right Seasons and Celebrations Picture card.